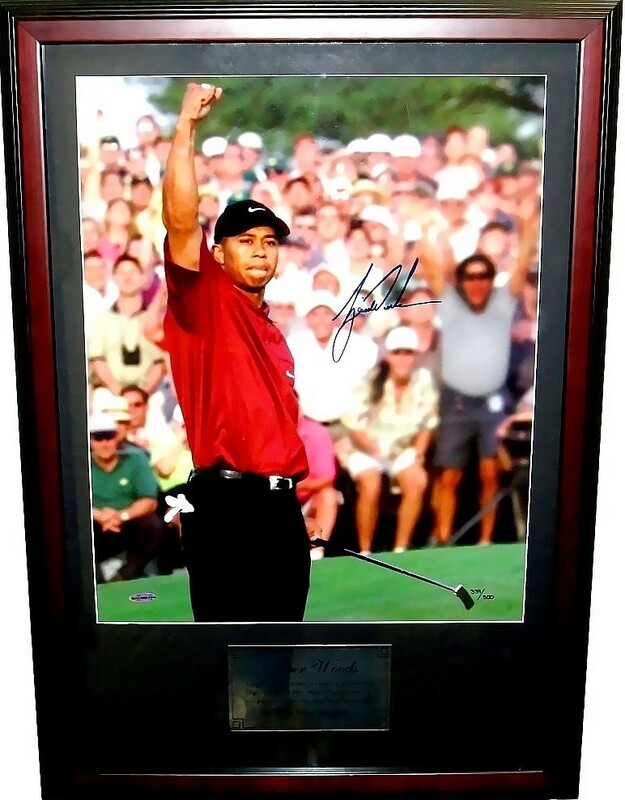 Spectacular 16x20 poster size photo of Tiger Woods celebrating his 2001 Masters win at Augusta, autographed beautifully in blue marker, matted and framed in wood with gold plaque and plexiglas, ready to hang. 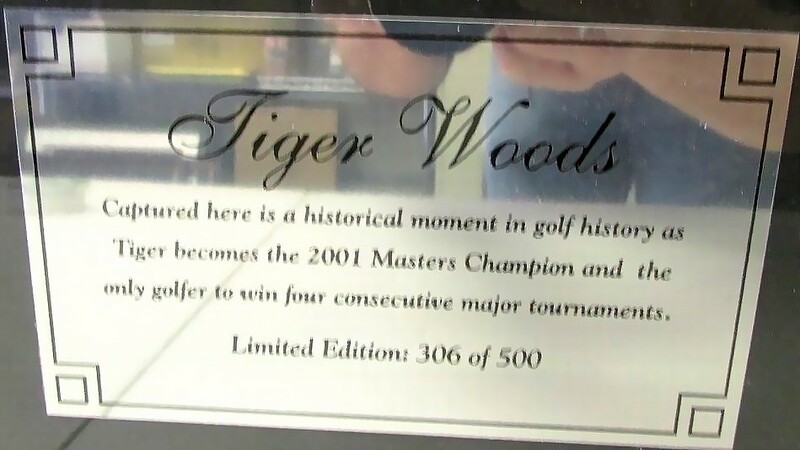 #306 in a numbered limited edition of 500. Framed size is about 21 by 29 1/2 inches. 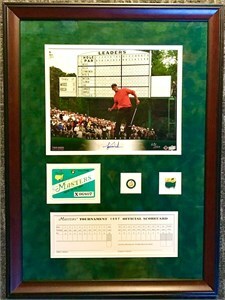 Authenticated by UDA's patented five-step process including matching numbered holograms on the photo and certificate of authenticity. ONLY ONE AVAILABLE FOR SALE.